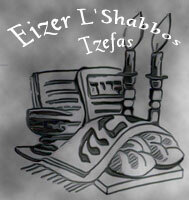 A Simple Jew: Guest Posting By Chabakuk Elisha - Non-Jewish Food? As I've said elsewhere, the overreaction is unfortunate but I agree with the basic sentiment. Do you remember when the first "pareve cheese" arrived in the late 1970s and the Young Israel suburban barbeque crowd began reveling in cheeseburgers with a sprinkle of pareve BaCo-Bits? Why do we have to have EVERY taste known to the human palate? I know the Gemara says that all the non-kosher tastes may be found somewhere in kosher foods -- but why must we crave them? CE, I have to diagree this time. There is something off-the-mark about this entire mentality. And I fear that the root of the desire for such things goes beyond food. This is a spiritual problem, not a halachic problem. I think that we can agree that the spiritual problem is not the cheeseburger (Halevai that it was). Like I tried to say, the spritual issue applies to all food, even cholent. I also said that it has to be Kosher - if it is, it is & if it's not, it's not. I also never told anyone that they have to eat it. I still maintain that this is a silly issue, and there are serious Kashrus isses out there (like you mention in your book "Vision of Eden"). I also am bothered by the imposing of one's (haphazard) sensitivites on others. PS: The Lubavitcher Rebbe zatzal made a fuss about little children not playing with toy versions of non-kosher animals, in order to create a certain sensitivity. What do you think he would say about pareve cheeseburgers? "If it's mutar, it's mutar?" Or that it comes out of a distorted mentality and fosters an insensitivity toward what is not kosher? 1. Assuming it's Kosher, and a store wants to sell it, they should be well within their rights to do so. Nobody forcing anyone to buy it, and it's not a shayloh lehalacha (unlike some other issues, such as veal). 2. Everyone has things that they're machmir on and inyanim that they are meikel on. If. let's say, someone is machmir on honesty in business or let's say loshon hora, but lets himself indulge in Kosher food, I'd say he's better off than if it was the otehr way around. Ideally, we probably shouldn't even eat out alltogether. And maybe we should keep red-meat to a minimum and perhaps shecht our own chickens. Moreover, we should not indulge in any tayvos - but that's not the point here. How about if non-chametz bread becomes available for use on Pesach? Same look, same taste but not chametz. You mean they don't have that already? The truth is that when it comes to Pesach, I am less comfortable with it. Pesach is THE Yom Tov when the chumras aren't supposed to be logical or even necessarily rational. So, let's leave Pesach aside. ...and now you have a better understanding of where the people in this case are coming from. I agree that the vitriol is overdone and that of course there are bigger things to worry about, however each case can and really should be looked at individually. I don't think we disagree that much - maybe just a little. I agree with you about the priorities -- and even more, I sometimes wonder if people latch onto minor issues precisely because they want to evade responsibility for addressing the major ones. But I think the comparson to the Lubavitcher chumra on non-kosher animals stands. If I wanted to take this argument to a ridiculous length, couldn't I then find fault with the painter Zalman Kleinman for including non-kosher image in his painting "From Chaslavitch to Lubavitch"? The Lubavitcher Rebbe did not ask that we eliminate all non-kosher animals or representations thereof from our field of vision. He was specifically talking about chinnuch and instilling a certain sensitivity in us -- which is a very "chassidishe" thing to do. I mean, in the same sense as the old Chassidic saying: mikveh is not a mitzvah for men (today), but it leads to all of the mitzvos; and sadness is not an aveirah, but it leads to all aveiros! CE: Great thoughts, I'm glad the ASJ posted them. I think, in some communities the thrust is that "we must have kosher versions of everything the non-Jews have". 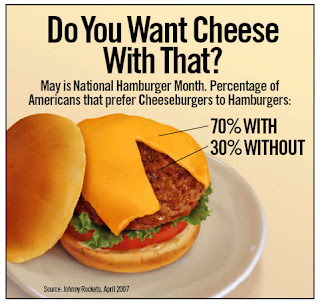 This whole 'cheese' burger thing is one in a long list of examples we could give. I agree, no one is being forced to eat it. Thanks for pointing out the fact that most of the 'big issues' out there are really far away from the true issues that affect and fracture Kinesset Yisrael. After a dinner of kosher cheeseburger macaroni (cheddar cheese, macaroni, Manwich sauce, and pareve veggie "meat") to break the fast, I thought a little more about the interchange between you and Chabakuk Elisha. Specifically, I was thinking about your comment about the "pareve cheese" used on hamburgers back in the 1970's. Correct me if I am wrong, but if the "pareve cheese" that you wrote about had a reliable hechsher and these people at the barbeque were making a mistake that anyone could have made. When I purchase something with a reliable hechsher do I know 100% that the item is kosher? Yet, I trust the fact that the mashgiach assigned to check out the company is doing his work diligently and is vigilant to ensure that they are producing a kosher product. 2) Does the person eat the food in a refined way? I respect the fact that you take a differing viewpoint on this issue, and if you can provide sources that would support the "anti-kosher cheeseburger" viewpoint I would be willing to stand corrected. I look at this issue much the same as the Jewish music issue. Just as one can ask "what is Jewish music? ", one can also ask "what is Jewish food?". Perhaps he was giving the example of the cheese that ended up being dairy as an example similar to the Amorah's donkey who would never eat anything that didn't belong to its owner. Perhaps he meant that when you are more careful about what you eat, even lifnim mishuras hadin, then Hashem will protect you from events like that, which you couldn't have known about. I agree with you overall. If it is kosher and you want to eat it, go ahead. But let us look at it from the other viewpoint. From the viewpoint of the people upset about it. Just to get a perspective and instead of saying they are being ridiculous, let's try to understand what they are saying. Sure, jews throughout history had to find kosher food to eat and adjust the local culture to have what to eat. Does that mean we have to go out of our way to create something that is not necessary other than to copy the goyim? We have a full range of food. It is not like we are living in a poor country, we are not in Yemen or in Greece. We are not living in places where kosher food is scarce, or all you can get is tuna fish and you need to find ways to make the local food kosher, otherwise you will have hardly anything to eat. This is a case where we have just about everything there is in kosher form. We are not lacking for anything. Yet we go ahead and look for ways to copy the goyim, to eat foods that are really supposed to be assur. There is no need for it other than to copy the goyim. It does not seem like such unreasonable and ridiculous logic to me anymore, even though I disagree with the logic. Rafi G: I think, however, that for baalei teshuva eating a "kosher cheeseburger" is not so much an act to copy non-Jews as much as being able to partake in something that they once enjoyed, but now in a kosher manner. for sure. I am not arguing with you. I think a kosher cheeseburger is fine. If it is kosher, enjoy. That is my attitude. I am just saying to try to understand the viewpoint of those who wrote the crazy comments in YW. Those who wrote those comments are probably all FFBs or of they are BTs they are the kind who totally reject their past rather than slowly acclimate to the new. From their viewpoint, you can understand based on my comment above. But I disagree with it. It is kosher. Period. One could & SHOULD ask "What is Jewish music?" Because music can lift us up to the Heavens, or bring us down to the abyss. What is Jewish food? Kosher! And here you should mention the Gemara that R. Sears brought - that Hashem gave us the taste of every non-Kosher food in Kosher foods. Perhaps it good way to get the "taiva" out of your system - you might just find out that the "cheese"-"burger" is nothing so great after all. Gimme a piece of kugel or a knish, anytime! Yitz: So are you saying that you don't and will not eat kosher "non-Jewish" food? When the first Jews arrived in Poland many centuries ago, do you think the gedolim of the time took them to task for adopting aspects of the local cuisine and kosherizing it? Kashrus concerns are not what I was talking about here; people should check into the supervision and Kashrus status as we would with any new and unusual product before using it (for example, my wife told me she would be afraid to eat “non dairy cheese” with real meat, but maybe soy cheese with soy meat would be better). But back to the idea of the horribleness of the kosher cheeseburger: The music analogy is a perfect fit, and I wasn't going to say this so bluntly before, but I feel forced to do so now. 1. Frum Judaism in the modern era – in all communities (yes, even in the supposedly non-materialistic “kollel world”) – is probably more materialistic than ever before (a.k.a. “baalabatish,” or some might say, “heimish”). 2. Frum Jews truly seeking (or even knowing what it means to be on) a spiritual path are very small minority (and on the internet even less so). So, the same folks that decry the availability of a kosher version of an “unkosher” product are the same people that desire “Jewish-ised” versions of non-Jewish music, non-Jewish lifestyles, and in general, pursue whatever vanities or material pursuits that they’re drawn to. Are chandeliers, fancy furniture, fancy houses, ball-room weddings, expensive watches, collections of shoes or jewelry or gazillion dollar sheitlach, ruchansidiker pursuits? To put it bluntly, contemporary Yiddishkeit is ONE BIG kosher cheeseburger! How can the very same people start telling everyone else that this is bad?! If this is bad, then so is Yeshiva Boys Choir or Diaspora Yeshiva Band – and so is almost everything in the life of the vast majority of frum Jews. So, now, how can you turn around and essentially say, “My vanities and pleasures are fine, but yours aren’t”? Who do they think they are? The bottom line is this: Pretty much everybody makes their concessions to certain indulgences – maybe it’s music, maybe it’s expensive china, maybe it’s clothing or accessories, but to impose your specific sensitivity on the masses is simply arrogant. To get right down to it, I think it’s completely permissible, but if we are seriously trying to rise above our tayvos, we should try to overcome our attraction to it or any/all other tayvos as well. There isn’t all that much difference (other than semantics) between a Kosher cheeseburger and four scoops of chocolate ice cream (vanilla on the other hand...). So, sure, I can completely understand the individual who wishes to avoid it, but let’s cut out the snooty attitude. As you mentioned in your posting, the whole idea of going to a restaurant has an aspect of indulging one's tayvos since the person has a craving for a particular type of food and then actively goes out and seeks it out. However, this is true of anyone eating anything since if we did not have tayvos we would never have preferences for one type of food over another. "If you like a certain food it is proof that you have a rectification with it, and that it is connected to your root soul whereas food that you find unappetizing does not belong to your root soul." Perhaps a baal teshuva eating a kosher cheeseburger is making a tikkun for eating non-kosher cheeseburgers in his past life…. "Mitzvos vos di Nefesh HaBahamis hut lieb darf net nit mehader zein"
"Mitzvos vos di nefesh habahamis hut lieb darf men nit mehader zein"
If all our tayvos are a concession, would you then advocate we only eat food that does not taste good to us so that we don't give more energy to the "animal soul"? And if we were really committed to avodas Hashem we wouldn’t be so focused on the tayvos in the first place. Someone once complained to the Chozeh of Lublin: “Rebbe! I am disturbed by alien thoughts – what can I do? Taking your thoughts one step further, would the fact that a person is overweight be an indication that he is too indulgent in his tayvos? Why? I think that a persons size is more of a sign of their genetic make-up and exersize habbits, etc. Is there any way a person could eat a kosher cheeseburger with out indulging tayvos achila? Sure it's possible, just like it's possible to eat or do anything not lesheim tayva. You mean the Degel's teaching about lashon kodesh here?. CE: "To put it bluntly, contemporary Yiddishkeit is ONE BIG kosher cheeseburger!" I laughed when I read this line, but not because the situation is funny. The only answer I can offer you is the one I have been repeating for years and years, even prior to this venerable blog: Yiddishkeit is primarily about our personal relationship to G-d and the klal and creation as a whole. You have to begin within yourself. Actually this is like hilkhos tzedakah. The first level of obligation to those closest to you; then to the community; then to a broader circle -- and not the opposite way. Even our old enemy Voltaire knew this -- we have to begin by tending our own garden! I am surprised no one else mentioned in the comments what I am about to mention. 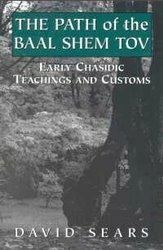 In Hamodia during Chanukah, there was an interview with Rav Wolfson Shlita about what Hellenism is and if it is still existent today. In this interview along with saying that just having a frum yid in this generation is a miracle, he also said that what we eat and what we do can have a hellenistic impact on us without us knowing it. He mentions pizza, sushi and other foods which he does not classify as Jewish saying that we shouldnt eat them. Although they are technically kosher they can have a negative spiritual effect on us. If someone is not spiritual in general, they are not going to understand or respect what Rav Wolfson was trying to say but to me it makes perfect sense. I dont know how healthy a person would be if they only ate Deli, kugel , cholent, pcha , popucks and all that other stuff but maybe they could be on a much higher spiritual level then those who hang out in pizza shops and steakhouses that offer cheeseburgers. Along these same lines, in his book "Shabbos Secrets", Rabbi Dovid Meisels states that it is inappropriate to eat pizza at a melave malka meal. 1. many families mak ematza "rolls" on pesach that look like whole wheat rolls (they taste like phe, but thats a dif story). 2. the di'oraysa that everyone is forgetting is that cheeseburgers are mutar, it's only di'rabbonon that they are not. 3. where was the protest for the moch shrimp that people now serve on shabbos and at l'chayims? 4. many kosher establishments have had mock fleishigs on their pizza for years, where was that uproar? The answer is, our communities are growing more controlling and more halachically ignorant. Tehy are so caught up in kedoshim tehiyu, they forgot about "v'chai bahem". Chumras have become halacha and hochaiach tocheiach now means to impose your will on others, no longer to simply give musar. I defy anyone here to identify a weekday food recipe which was totally of Jewish design, and was not just a kosher Jewish adaptation of food eaten generally someplace where Jews lived. Does such an adaptation gain in kedusha because it was made long ago and not today? This has begun to sound like the many discussions about Jewish music! PS: Soy products can be much healthier to eat than much of our other diet. I think an important point is missed here. The question isn't a particular style of food, but rather whether we are maintaining cultural barriers or not. Those barriers are part of the Jewish defense system against intruding negative influences. Now, there's no strict definition of exactly what those barriers are, and that's why different rabbaim will argue whether it's pizza at melava malka or sushi. But conceptually, it's keeping separate from the ways of the nations. Spiritually, we have to ask whether certain influences can be elevated, or should be. Hip hop, rap, deer, buffalo, parve daily foods for mixing with meat, parve meat foods for mixing with dairy. Are there sparks there, or are we digging too deep? Now you are giving me questions! There is a world of difference between creating halachically kosher versions of treife foods and exchanging matzo ball soup for the wanton variety! I can't believe that anybody could have a serious objection to a food because of its ethnicity! Jews have lived all over the world for our more than 3,000 year history, and we have had all sorts of customs and dietary habits. Rav Wolfson is a tzaddik and a giant in Torah and Chassidus. Therefore, I cannot believe he said such a thing. As for Rabbi Meisels, he is writing a book about Shabbos customs and traditions, which is a special subject unto itself. In the late 80's, I think, I bought some pizza from the local kosher pizza place in Oak Park, MI, and on the box was a claim that the ancient Jews (in Rome? )invented pizza. When I was in Yeshivat Shallvim I once borrowed my isralei roomates frying pan to make some eggs. He walked in and saw me sprinkling some kosher (OU) bacon bits in the egg and asked what it was. When I explained it to him he took the pan and went to kasher it. It led to a heated discussion between us on exactly this topic. My basic argument was 2 fold. 1) The gemara that states that a person should say "I don't want I don't want" but rather "I want but g-d has forbidden." Is there a better way to show that one is refraining from that which is assur (only becuase it is assur and not becuase he doesn't want it) than to find a muttar way to enjoy it. 2) The gemara also states that for everything that g-d assured he gave us something equal that is mutar. One of the examples brought down is the Shibuta fish which we are told has hte same taste as pig. (The gemara goes so far as to give exmaples of arayos but fo rhte purpose of this post I think the fish is a better exmaple).It seems clear from this gemara that, again, we are to refrain from that which is is assur and not that which is muttar but tastes like it is assur. The only argument that I can "hear" against this is the issue of syag- but I really don't see that as aplying in this case of the kosher cheeseburger. I'm sorry but it is not the place of baaleibatim to assur a Kosher product or invoke base motives to explain why others do. This failure to dan lachaf zchus isn't alarming should trouble us. It goes so far as naming a kosher "pig". Can there be anything more symbolic of trief food than a pig?! Furthermore, almond milk has been known for centuries and the only concern raised by the halacha is that it might appear to others that you are transgressing, ma'aris ayin. Therefore the halachah is that you must place almonds next to it when you serve it with flesh. The Gedolei HaDor are the eyes of the Dor. If they perceive that we are doing such things based on unhealthy motives then there is an issue. It is not up to us to wag the dog. I did a post on this on my blog. 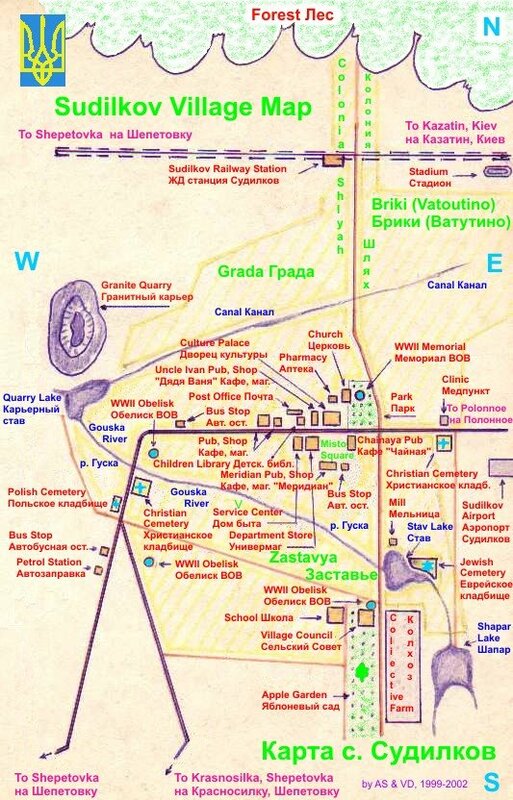 There is a very interesing article in Journal of Halcaha and Contemporary Society by R. Ari Zivotofsky("Baco Bits and Non Kosher Taste:Halacha and Hashkafa", Fall 2005), and he discusses the gemera of Yalta. I eat Tofuti and fake-bacon products cause I LIKE THEM-- NOTHING to do with "emulating" non-Jewish ways. (PERIOD). The point is sometimes made that a Kosher French restaurant is not a place where Jews go to celebrate Yiddishkeit but an attempt to share the world of the goyim while staying within the laws of kashrus. For those of us whose grandparents came from France, a Kosher French restaurant appeals to us because it might give us an insight into what bubbe and zayde ate before they emigrated. The Rebbe's point about playing with non-kosher dolls is not that the animals we play with will become the ones we want to eat but that the behavior or personality traits of a predator, for example, are not the best ones for a child to identify with. Better a lamb, cow or chicken than the more aggressive animals.